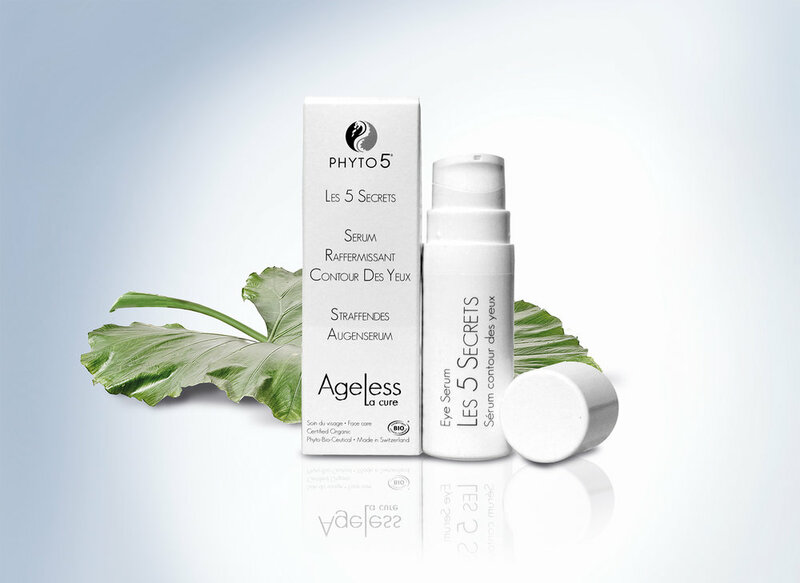 Get "Ageless La Cure Five Secrets Serum and Five Secrets Cream Duo for a 3-Week Cure" PLUS "Ageless La Cure Firming Eye Serum"— all three products for just $199.00. Save $107. Purchased separately, regularly $306 for both kit of two products plus eye serum (pictured below). Formulated with the poten resin extract of Commiphora mukul, a family member of the myrrh tree, Ageless La Cure's restorative facial Serum and Cream duo mineralizes the skin and diminishes wrinkles from the inside out in just three weeks. It hydrates, mineralizes, restructures, provides antioxidants, and tones and lifts the skin. Look and feel more youthful and beautiful. Ageless La Cure Eye Serum is a preventative and restorative serum balanced to strengthen, tighten, and tone around the eye where signs of age are most visible. It's formulated with ancient beech tree bud extract, a natural compound derived from naturally fallen beech tree buds, proven to increase the skin’s natural oxygen consumption, hydration, and cell regeneration and with Easyliance, a high-tech fair trade natural compound proven to provide instant tightening.